Queen Elizabeth II has held the throne for six decades, which makes her the longest-reigning queen in the world. Throughout this time, she’s met with twelve different presidents of the United States, and it’s clear that she likes some of them more than others. At the top of the list would be the charming Ronald Reagan, and at the bottom would be Jimmy Carter. But he has no one to blame but himself for that! If you thought your family dinners were tough, see how some of our nation’s presidents classically cracked under the pressure of meeting the Queen. 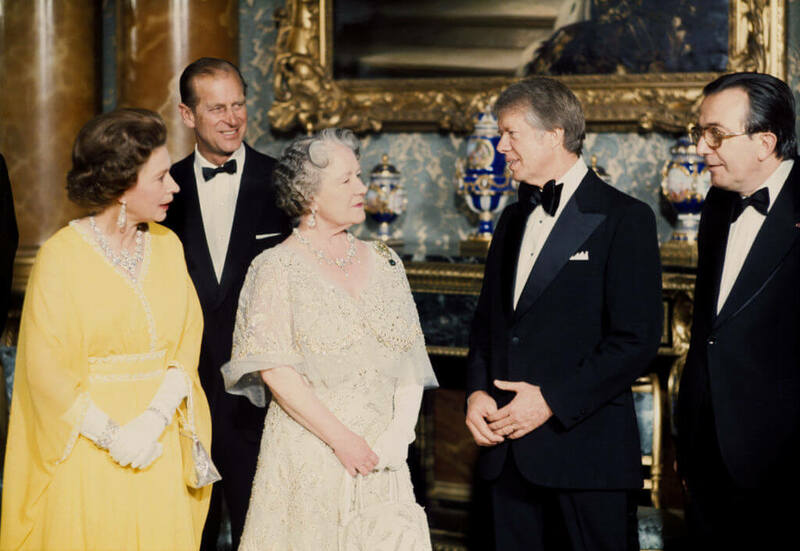 Jimmy Carter totally blew it when it came to royal protocol and the Queen. Find out what he did that mortified her soon. Born into royalty, Queen Elizabeth II was no amateur by the time she took the throne. She first met a U.S. president in 1951 when she was still a Princess and she and Philip were visiting Washington D.C. Her father was ill, so Elizabeth represented the royal family at just 25 years old. 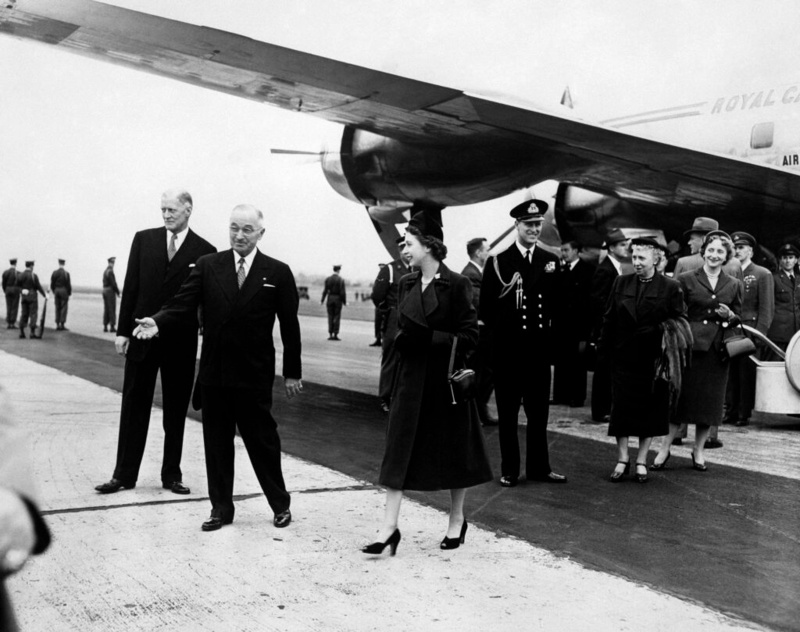 Queen Elizabeth II paid her first visit to the United States while holding the throne in 1957. This was during the Cold War when tensions were high in the U.S. However, the young Queen made sure to balance her visit between duty and pleasure. Eisenhower and the Queen first met when she was still a Princess, and Eisenhower befriended her parents. They maintained a good relationship and traveled on the Queen’s yacht together. 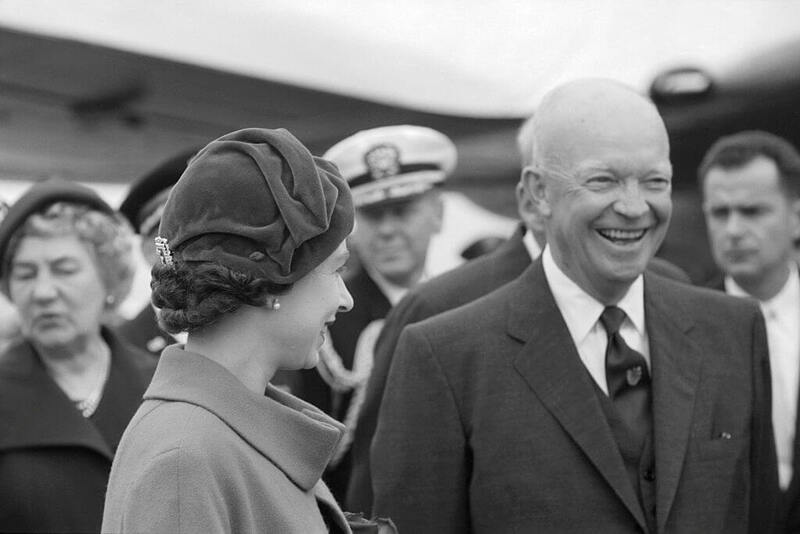 During one visit, an American congressman yelled, “We have all fallen in love with the Queen, Ike!” If only all foreign relations carried on this well. In 1961, John F. Kennedy was President of the United States. He and his wife Jackie Kennedy traveled to England only a few months after his inauguration. When they arrived in London, half a million people were there to greet them. The royal family welcomed the Kennedys for a state dinner at Buckingham Palace that included a banquet held in their honor and a lavish spread of food. It’s hard to say who was more excited about the visit. Up next, the Clintons’ thoughtful gesture missed the mark. As mentioned, Americans, even the President and First Lady, are not entirely hip to royal protocol and this can cause a few glitches. 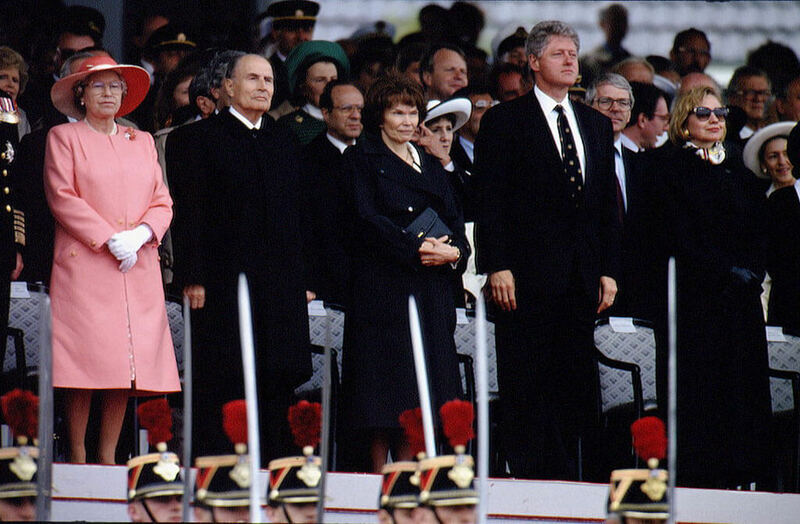 President Bill Clinton met with the Queen several times during his presidency, including during a banquet honoring the 50th anniversary of WWII’s D-Day. Things went smoothly, but it was Hillary Clinton’s flub in 2010 that the Queen tried to ignore. Clinton released an official statement wishing the Queen a happy birthday and reflecting on the “special relationship” that the U.S. has with England. She should have checked her calendar another time because the statement was released a week before Her Royal Majesty’s second, “official” birthday. Clinton was forgiven, as the second birthday’s date in June changes from year to year. Her real birthday is April 21. 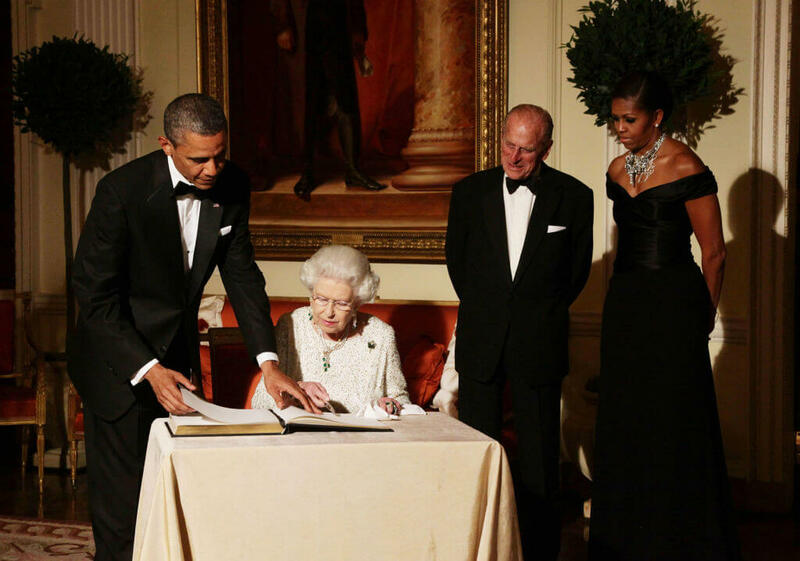 President Obama said of the Queen, “She is truly one of my favorite people.” Barack and Michelle met with the Queen twice more while he was in office, including on Her Majesty’s 90th birthday. Richard Nixon was the next U.S. president to pay the Queen a visit, in 1969. He and the Queen had already met while he was vice president, and Nixon’s visit was informal, especially compared to the warm reception that the Kennedys received. Nixon was invited over to Buckingham Palace where he and the Queen exchanged signed photos of themselves. It’s said that the president was fascinated with the British monarchy and returned the following year for a formal visit. Still ahead, Jimmy Carter’s cringe-worthy meeting with The Queen. The people of London were prepped and ready ahead of President Trump’s visit to Windsor Castle in July of 2018, but it wasn’t for the reasons you’d think. The President was met with huge protests as 250,000 turned out to oppose his visit. The crowd even flew a large balloon through the streets that resembled Trump as an angry baby, which the mayor of London approved ahead of the protest. Ah, Jimmy Carter. The former President of the United States should have left his Southern charm at home because the Georgia native totally blew it when it came to royal protocol and the Queen. She had even more to say about the kiss, as we’ll read later. After Jimmy Carter royally messed up his visit to England, America was lucky to have Ronald Reagan to clear the air. In 1982 the former actor traveled to England with his wife Nancy, where the couple was welcomed to stay at Windsor Castle. 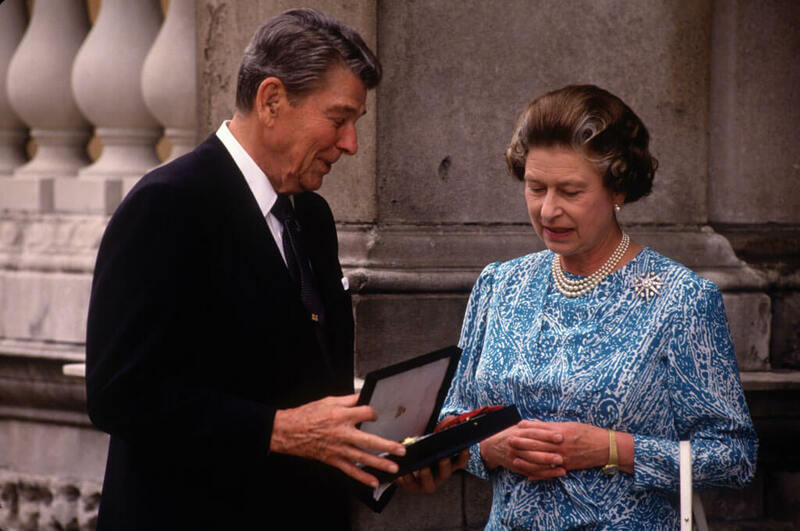 He would be the first president to do so, and it was clear that Queen Elizabeth II took a liking to Reagan. 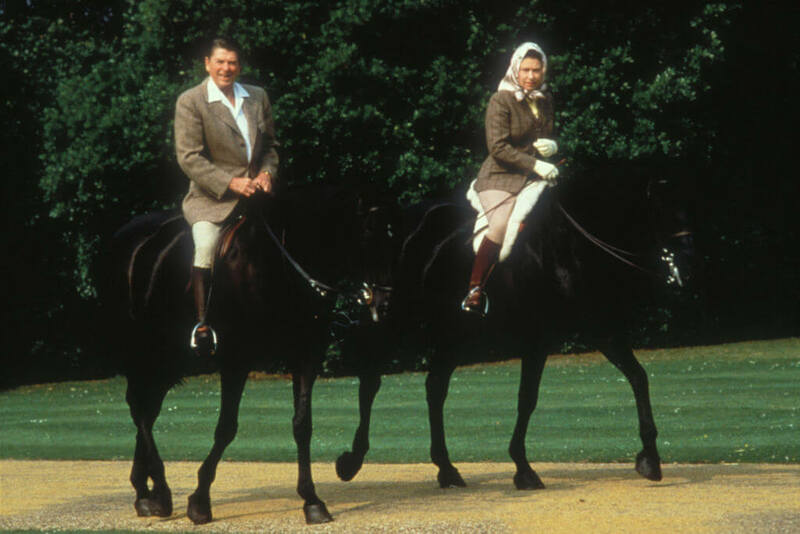 Reagan rode horses with the Queen like a knight in shining armor, out to save the reputation of America’s leader. He described the trip as a “fairytale visit” and noted in his memoir that it was one of his favorite experiences while holding office. In 1989, President George H.W. 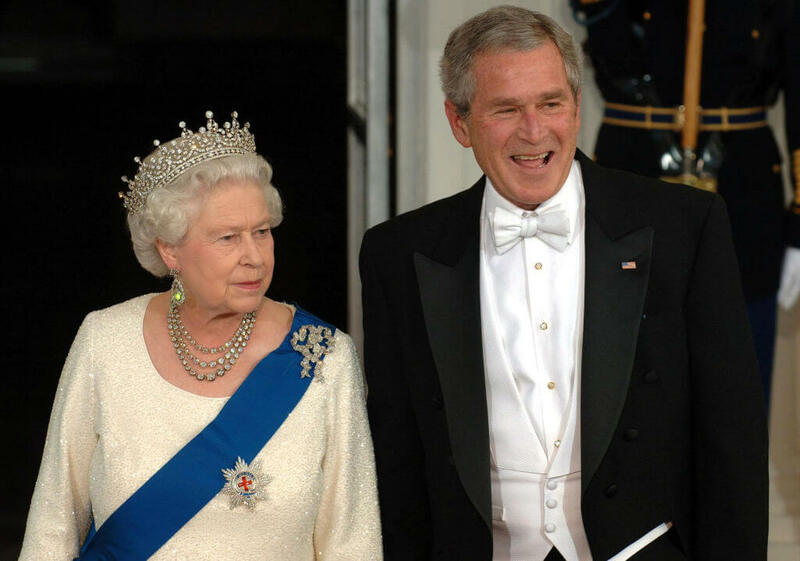 Bush and his wife Barabara traveled to London to meet the Queen. Reagan was a hard act to follow, so we can’t blame Bush for not sweeping the Queen off her feet. The President and First Lady were given a tour of Buckingham Palace, and also met with Prime Minister Margaret Thatcher. Bush begrudgingly listened as Thatcher gave him “a lecture on freedom.” But as the U.S. presidents are coached ahead of time, he sat politely and took it with a grain of salt. His son would fare much worse when he paid a visit. George W. Bush Was Not Welcomed By The U.K. 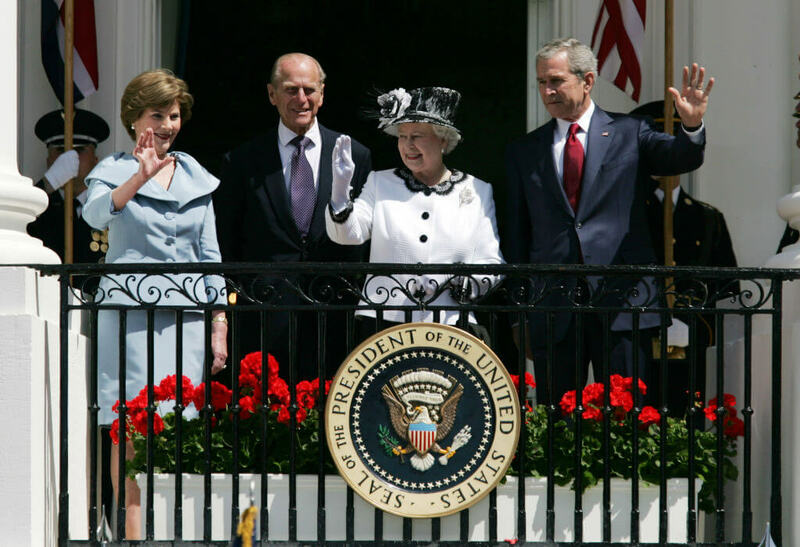 When President George W. Bush visited the Queen in London in 2003, he was not given a warm welcome by the U.K. When he stepped off of Air Force One, 100,000 people were protesting in the streets. They were angry with America’s involvement in the Iraq War, and did not want America’s president on their home turf. Security alone cost the U.K. millions. Once they arrived at Buckingham Palace, however, Bush and First Lady Laura were honored with a 41-gun salute and a lavish dinner. This wouldn’t be the last time a U.S. president’s visit would be protested. 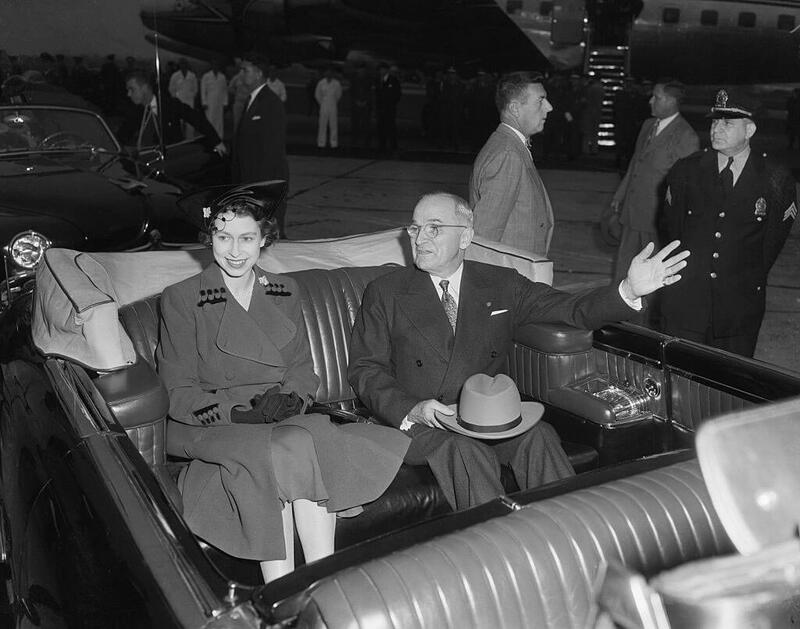 Here is another photograph of then-Princess Elizabeth during a meeting with President Harry S. Truman. After a reception to welcome Elizabeth and Philip to the United States, during which “The Star-Spangled Banner” was played, the President accompanied her in a motorcade. 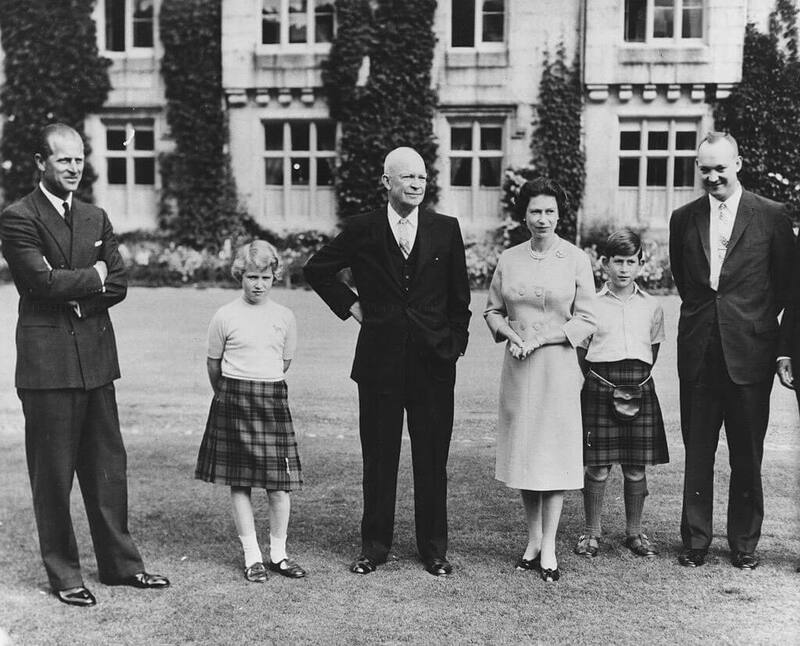 When Truman greeted the Princess and the Duke of Edinburgh, he fondly told them that “when you leave you will like us even better than when you came.” Elizabeth also met First Lady Bess Truman and First Daughter Margaret during her visit to the U.S.
President Dwight D. Eisenhower visited the Queen and her family at their home, Balmoral Castle, in Scotland. The year was 1959 and by this time Elizabeth had two children: Princess Anne and Prince Charles. Prince Andrew would be born just five months later. During this informal trip to the UK, Eisenhower also visited Prime Minister Harold Macmillan at Chequers Court. Pictured above are Prince Philip, Princess Anne, President Eisenhower, Queen Elizabeth, Prince Charles, and Captain John Eisenhower (the President’s son). Was There Drama During The Kennedy Visit To Buckingham Palace? In certain tell-all books and TV shows, it’s been alleged that there was lots of drama surrounding the Kennedys’ 1961 visit to Buckingham Palace. Jackie Kennedy’s sister Lee Radziwill (and her then-husband) had been divorced, and divorcées were traditionally not welcome at State Dinners. 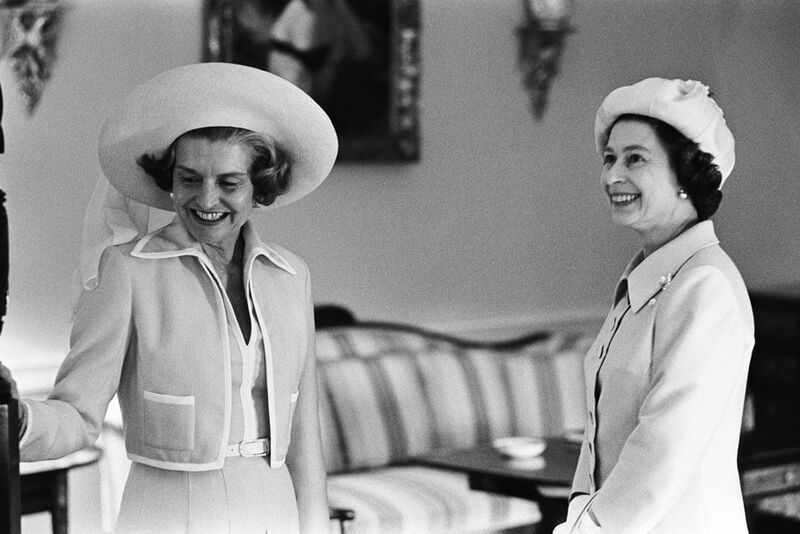 This photo seems to indicate that the Queen and Jackie had a lovely time. Next, we’ll see a photo from a more somber time that the two women met. 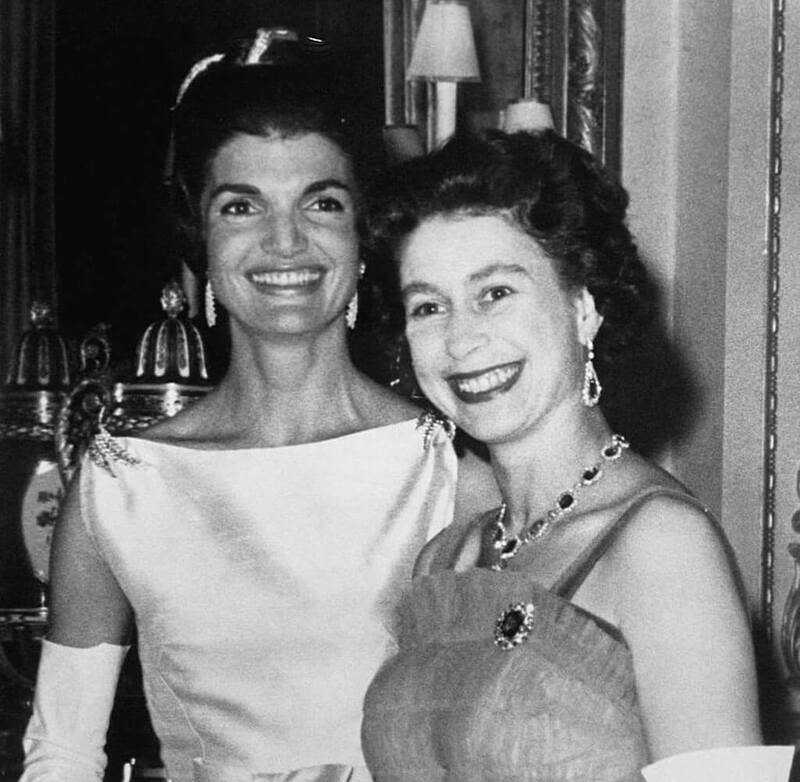 In a letter to the Queen after the dinner, President Kennedy wrote: We shall always cherish the memory of that delightful evening.” Sadly, he did not live to see another visit to Buckingham Palace as he was tragically assassinated in 1963. Following his death, the British government established a Kennedy Memorial Trust which consists of a memorial in Runnymede, England, as well as a scholarship. 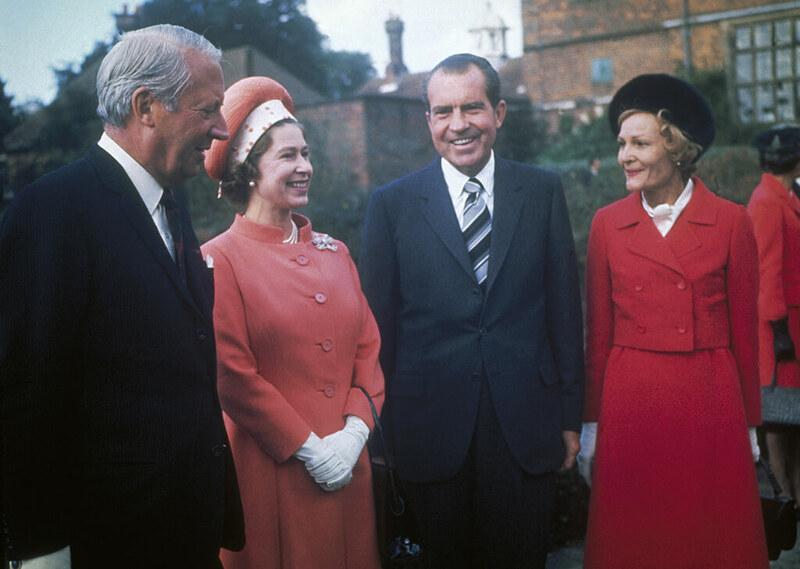 Queen Elizabeth first met Nixon when he was Vice President (under Dwight Eisenhower). In 1957 she and Prince Philip visited the United States, where they were escorted by Nixon. The following year, Nixon traveled to the United Kingdom to attend the dedication of the American Memorial Chapel in London. 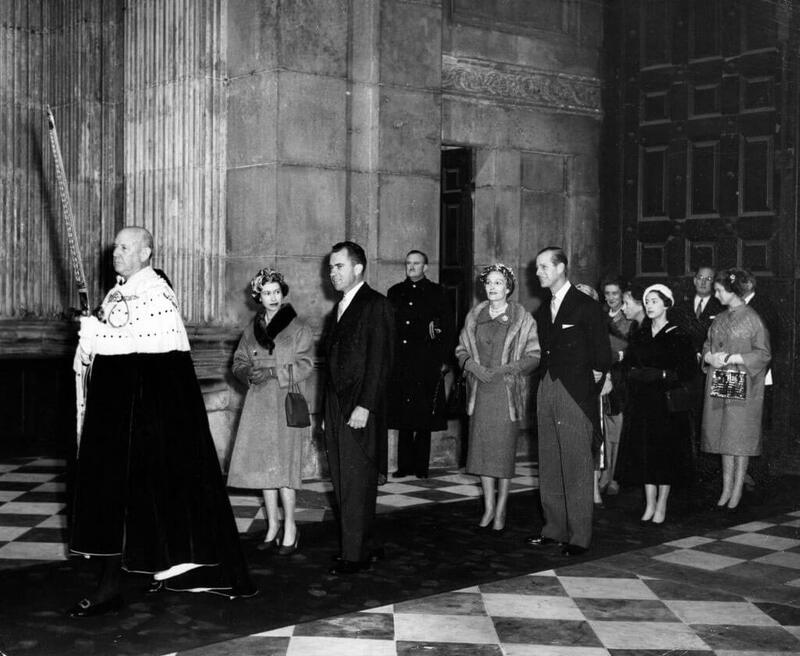 Pictured here are the Queen and Nixon during a processional through St. Paul’s Cathedral. Leading is Sir Harold Gillett, the Lord Mayor of London. Next are Queen Elizabeth and Nixon, then Prince Philip with Pat Nixon. Next are Princess Margaret, Princess Alexandra, and American Ambassador John Hay Whitney. Read on to learn about a potential disaster that was averted during a Royal visit to the White House! 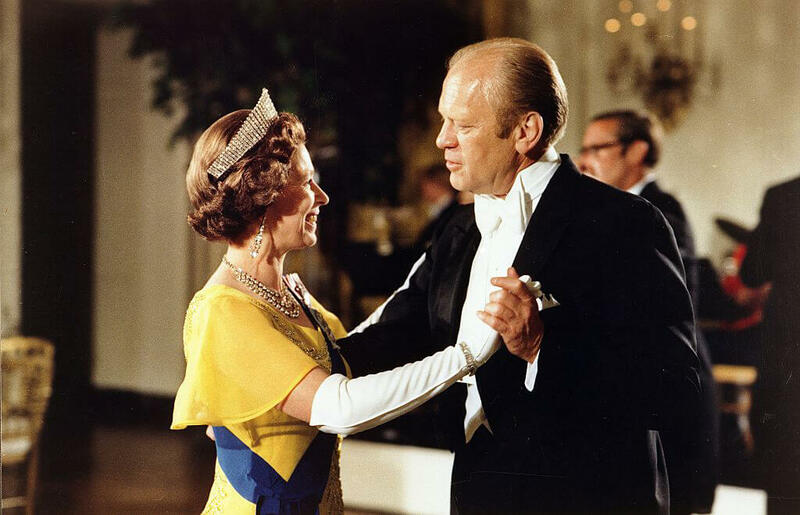 During the Queen’s 1976 visit to Washington, President Ford and his wife Betty hosted an elaborate dinner in her honor. You’d never know by looking at this photo that this dinner took place in a tent, or that there was a torrential downpour happening outside. Betty Ford was prepared for bad weather, luckily. In her memoir, she recalled: “An hour and a half before the Queen’s dinner, there was a sudden downpour with torrential rain, thunder, lightning. Three trees on the White House grounds were struck. Fortunately, I’d insisted that our tent have a floor… ‘We’ll have a floor and a carpet,’ I’d said. ‘It will be just like a room.’” Disaster averted! The First Lady even wore a hat for her meeting with the Queen – an accessory she wasn’t usually spotted in. This charming photo shows Ford giving Queen Elizabeth the official tour of the White House during the July 1976 visit. 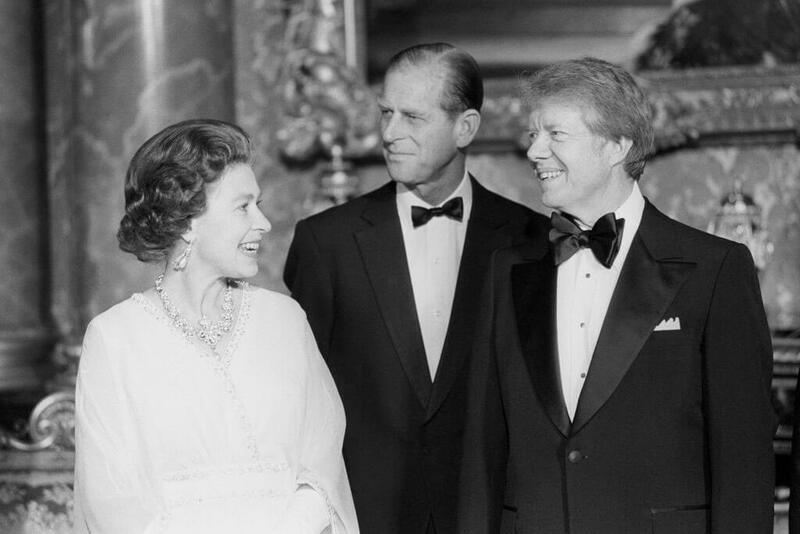 When the Queen was in Washington for 1976’s Bicentennial celebrations, she met former Georgia Governor Jimmy Carter. Later that same year he was elected President of the United States, defeating incumbent President Gerald Ford in a tight race. It was the following year, in May of 1977, when Carter paid a visit to the Queen in London and planted the infamous kiss on the Queen Mother’s lips. Of that incident, the Queen Mother later said, “I took a sharp step backwards – not quite far enough.” The above photo shows the Queen, Prince Philip, and Carter at a dinner in Buckingham Palace’s Blue Drawing Room. Conspicuously absent? The Queen Mother. 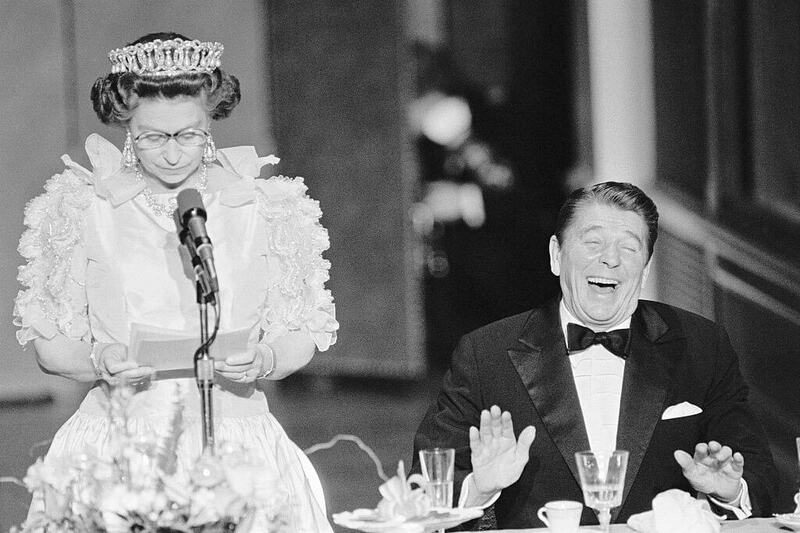 Queen Elizabeth is said to have a very keen sense of humor, and here’s photographic evidence of that fact. 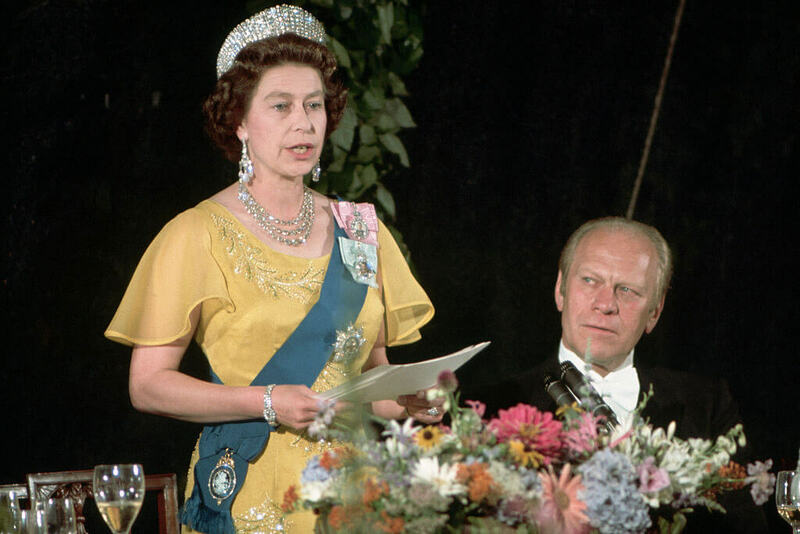 This snapshot was taken as the Queen gave an address at a state dinner held at San Francisco’s De Young Museum in 1983. Just what has the Queen said to amuse the President so much? It turns out it was a joke about the northern California weather, delivered impeccably with a straight face. “I knew before we came that we had exported many of our traditions to the United States. But I had not realized before that weather was one of them,” she dead-panned. We’ll get a chance to see the Queen in some of that northern California weather on the next page. 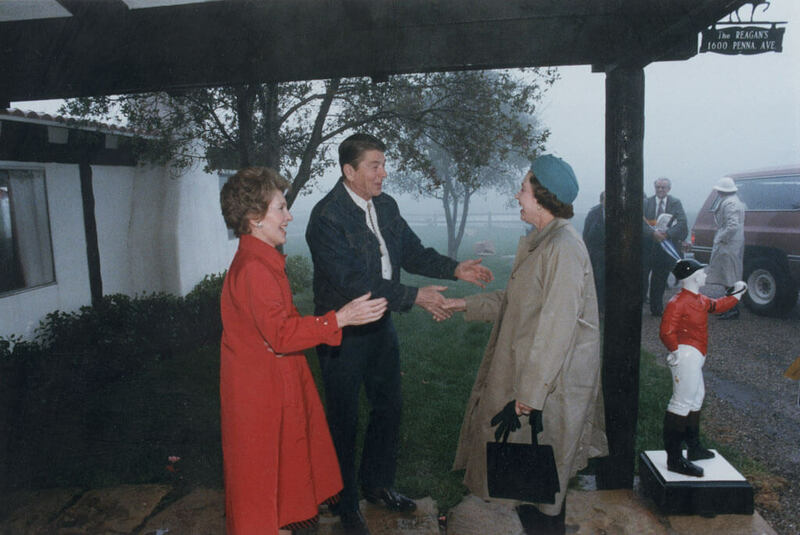 Here, we see Queen Elizabeth being warmly greeted by President Reagan and First Lady Nancy Reagan at their Rancho Del Cielo, California, home during her 1983 visit. All three appear to be amused at something; possibly it’s the uncooperative weather that the Queen has had to travel through in order to reach the ranch. Prince Philip accompanied Elizabeth. 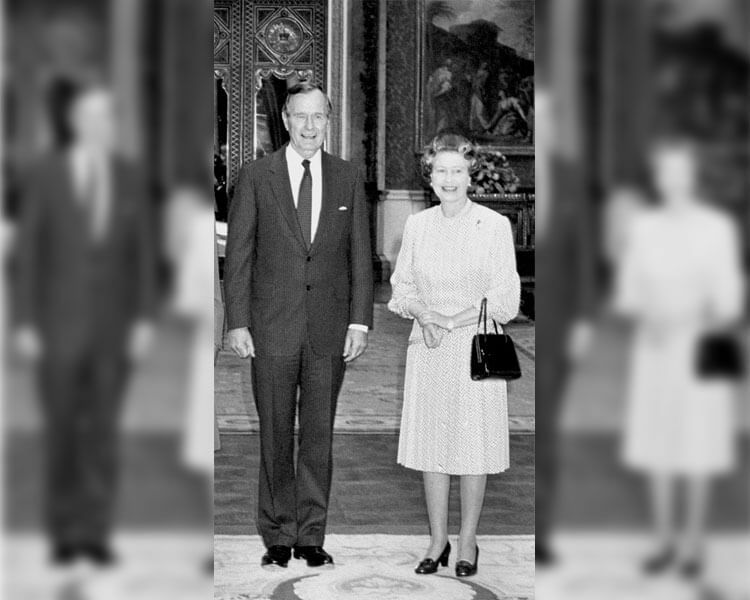 The Reagans made three official visits to visit the Queen in the UK; in 1982, 1984, and 1988. In 1989, after Reagan’s Presidency had ended, The Queen bestowed the title of Knight on him in a ceremony at Buckingham Palace. This is the highest honor that non-Britons can receive from the Palace. Next: which President did the Queen attend a Major League Baseball game with? And which player chewed gum while he met Elizabeth? President George H.W. Bush only made one official visit to Buckingham Palace, but that was not the only time he met Queen Elizabeth. 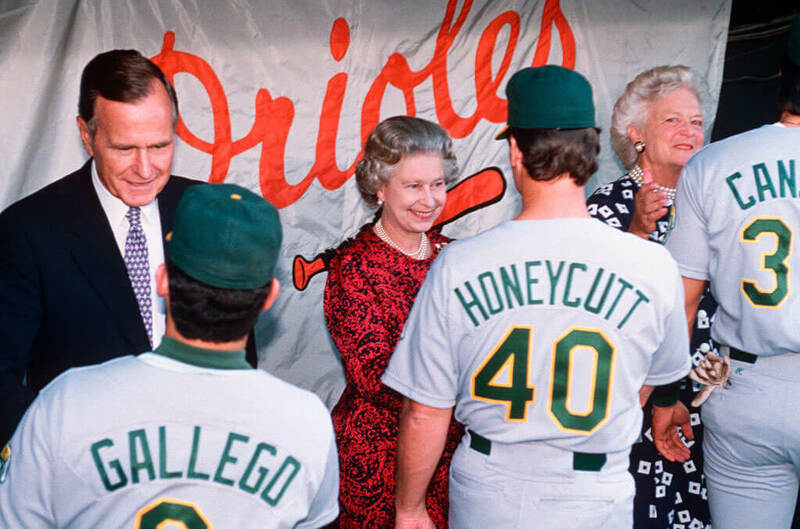 In 1991 he and First Lady Barbara took the Queen and Prince Phillip to watch the Orioles play the Oakland Athletics at Memorial Stadium in Baltimore. Queen Elizabeth, 65 years old at the time, wore a blue and red dress for the occasion. The song “Brown-Eyed Girl” was played over the stadium’s public-address system as the foursome found their seats. Orioles’ shortstop Cal Ripken shook hands with the Queen in the dugout. Later, he said, “I’ve been playing baseball for 10 years, and I’m used to a normal atmosphere. This is a lot different. There’s a lot of excitement.” It was also noted that Oakland player Jose Canseco chewed gum while shaking hands with the visiting dignitaries. 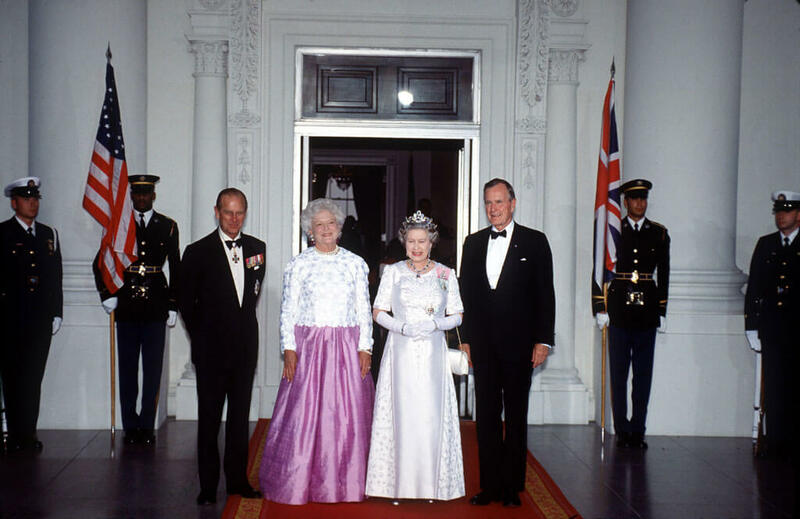 During the Queen’s 1991 visit to the United States, she became the first British monarch to address the United States Congress. 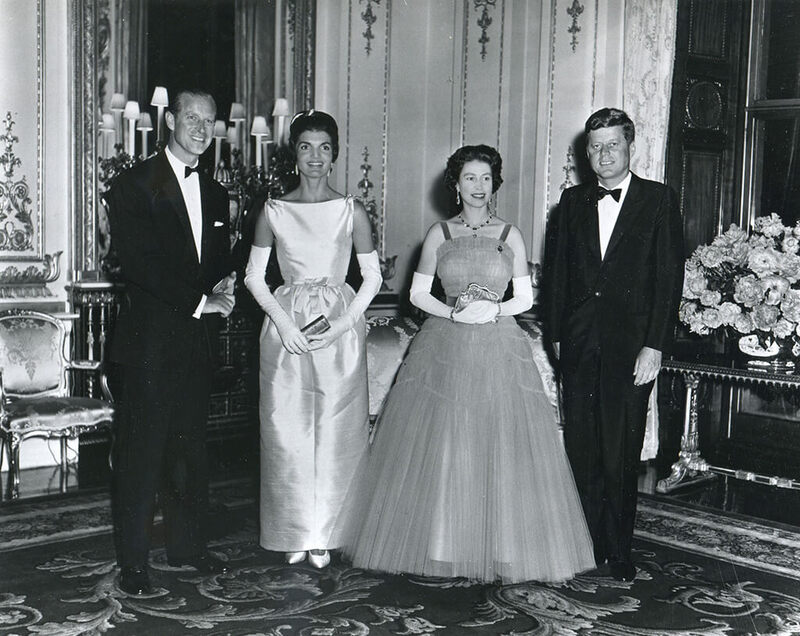 She and Prince Philip were also hosted by the Bushes at an extravagant state dinner at the White House on this tour. This is not a sight we’re used to seeing: the Queen of England digging with a shovel in the hot July sun as an American President and First Lady stand by. But it happened! And it makes much more sense when you know the backstory. This was during the Queen’s 1991 visit to the United States. 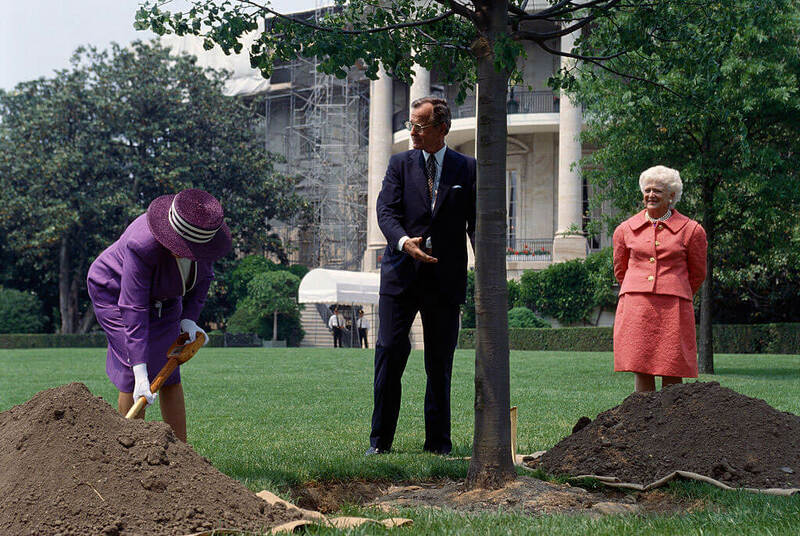 The Queen is planting a little-leaf linden tree on the South Lawn of the White House Grounds. She’s replacing one that her father, King George VI, planted in the same place during a 1937 visit. That tree was unfortunately lost to a storm in 1990. Also, it’s likely that someone else did the bulk of the digging as the Queen is not in her gardening clothes here. 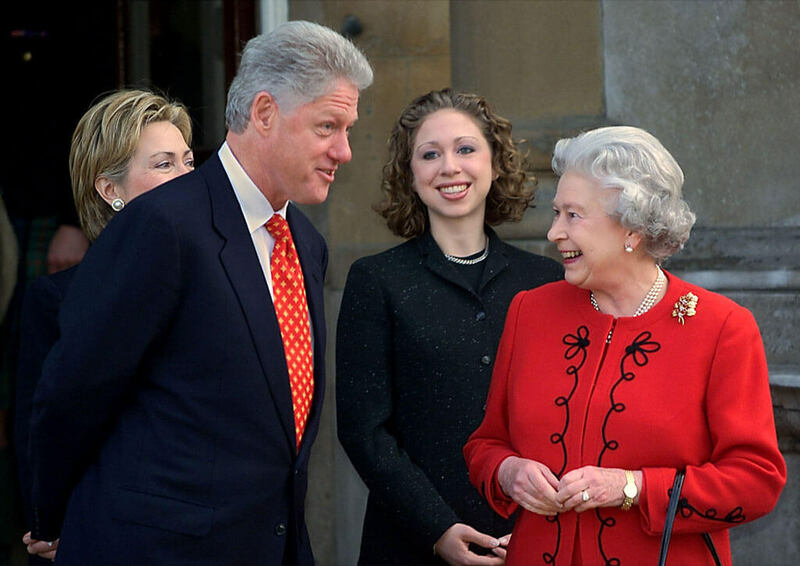 In 2000, President Clinton, First Lady Hillary Clinton, and their daughter Chelsea paid a visit to the Queen at Buckingham Palace. Clinton was on the last day of a three-day trip to Britain, Ireland, and Northern Ireland. They didn’t all have tea, though. Clinton later reported that he drank coffee during the meeting with the Queen. Hillary did have tea, and presumably, the Queen did as well. He caught himself before saying the full “1776” but the damage was done. 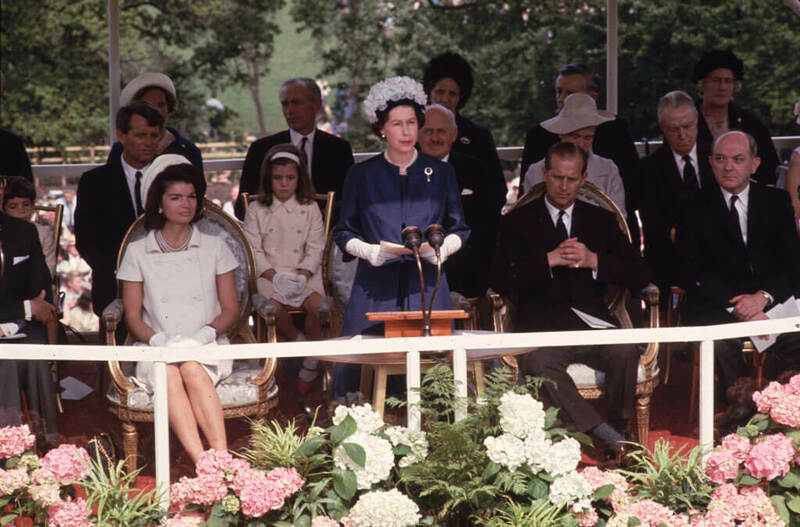 Although many in the audience laughed, Elizabeth “did not appear to share the general merriment.” Bush overcame the gaffe with a joke: “She gave me a look that only a mother could give a child.” The Queen finally laughed at that. Next: what gaffe did Obama make during a visit with the Queen? Just because the Queen and the Obamas seem to have a very close relationship, doesn’t mean that things always go perfectly. In 2011, Barack Obama became the first sitting American president to visit Buckingham Palace since 2003. 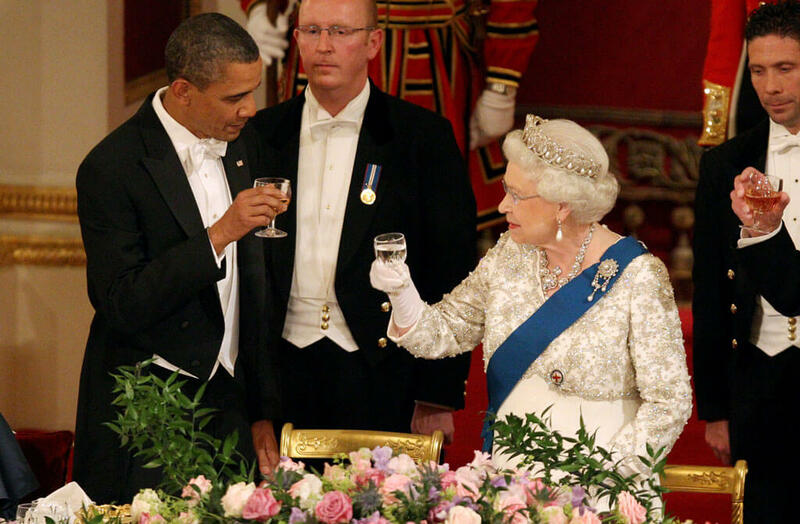 Things started off well, with Obama beginning a toast to the Queen during a State Banquet. He stood and announced, “Ladies and gentlemen, please stand with me and raise your glasses as I propose a toast. To her majesty the Queen.” This was the orchestra’s cue to play “God Save the Queen,” the national anthem. And President Obama continued to talk right over it (a no-no!) for a few more sentences before realizing his error. One BBC commentator called the gaffe a “mishap.” In true Obama fashion, he later joked that the song was “like a soundtrack” to his speech. Certainly, most Americans couldn’t be expected to remember every tiny detail of royal protocol. After all, it’s a complex and complicated system of rules and guidelines that even royals forget at times. 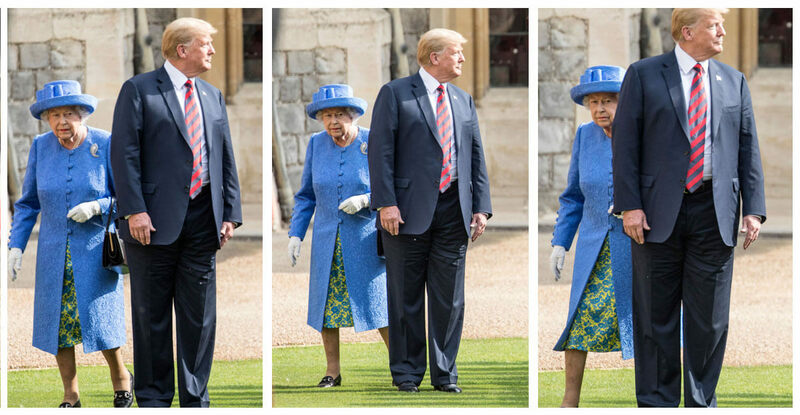 But many observers were quick to point out something Trump did that seems like it falls under the category of “standard courtesy for your hostess.” He appeared to cut off the Queen and then walked in front of her for several moments. 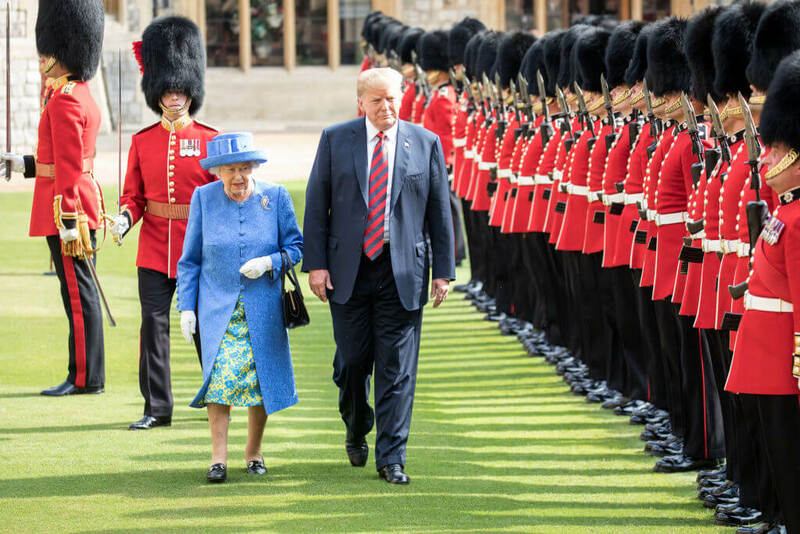 This took place as the Queen and President Trump inspected the royal honor guard together. At times it seemed that the Queen was forced to side-step him in order to regain her place. The incident blew up on social media, with thousands of comments like “Even if she wasn’t the Queen, wouldn’t you let an elderly lady walk ahead of you? ?” appearing within moments. Next, a list of heartwarming and heart-wrenching moments featuring world leaders breaking protocol, from tragic to downright joyous. It’s easy to forget that presidents and royalty are human beings just like the rest of us. So often, public figures in a position of power are caught up in various forms of protocol and rigidity that it is a welcome change to see the more vulnerable side of these people. It’s particularly heartwarming to see these prominent figures engaged in acts of compassion for their fellow humans. 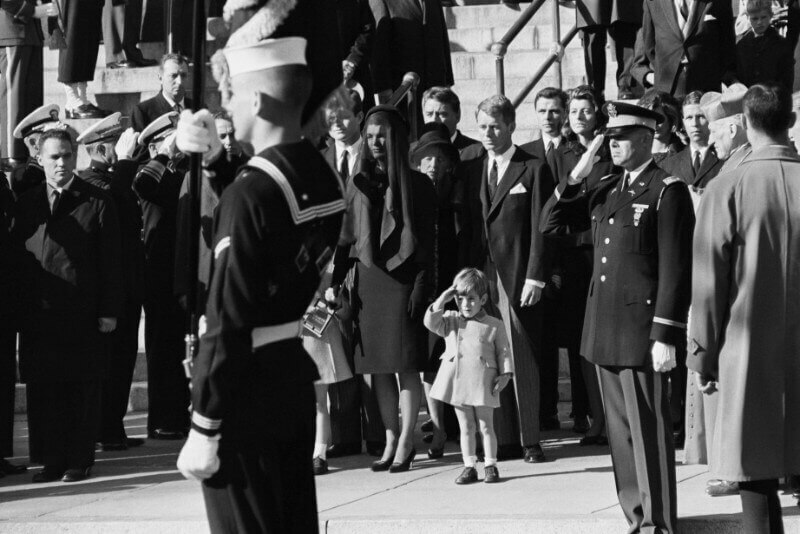 When you think about heartwarming moments with world leaders over the years, perhaps the most memorable is when John F. Kennedy Jr. saluted his father’s passing coffin. The entire nation was in a great time of mourning after President Kennedy was so callously assassinated, in full view of the public no less. But despite the collective grief of the masses, there was nothing more potently sad than the image of the President’s young son giving him a posthumous salute. Even viewing the photograph over fifty years after the time which it occurred, it is one of the most remarkable and heartbreaking moments of all time. Another memorable tragedy within the public consciousness was the untimely and tragic passing of Princess Diana. Diana was already divorced from Prince Charles at the time. However, she was so widely loved by the English public and the public at large that her death felt deeply personal to many. She was particularly remarkable because of her departure from royalty from years past. She was more willing to engage with the public and was seen as very down to earth. When Diana died she left behind her two young sons. It was only until recently that Prince William and Harry have spoken about the day of Diana’s funeral and how deeply it affected them. 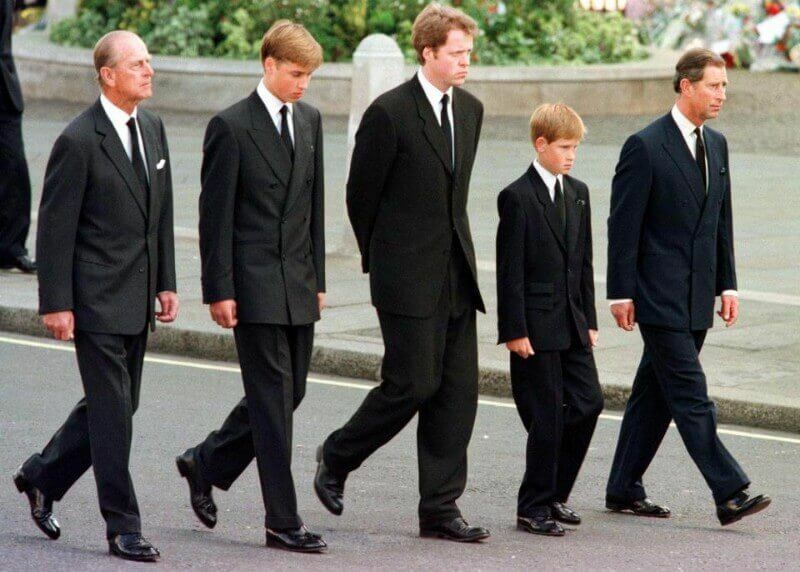 This stark photo of the boys walking behind Diana’s coffin resonates with most, regardless of social stature of economic status. In 2011, Congresswoman Gabrielle Giffords was holding a community event called “Congress on Your Corner” when a deranged man shot her in the head at point blank range. He also shot and killed several others, including a young girl. Gabby miraculously survived, although her wounds have had a lasting effect on her physically (not to mention the unseen emotional struggles and trials). Gabby is one amazing fighter. 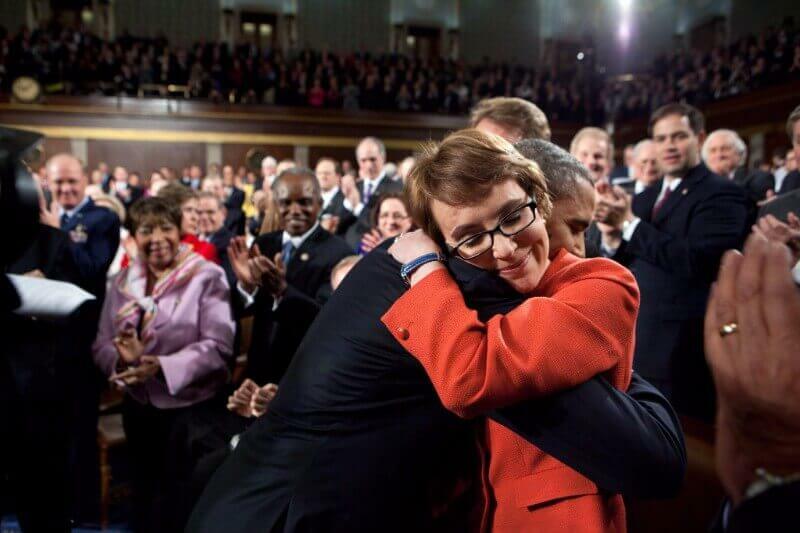 In 2012, at the State of the Union Address, President Obama embraced Gabby, who was back in a relatively short time after her horrifying injury. The embrace between the two was truly a tear-jerking moment. Gabby now advocates for tougher gun restrictions. They royal family is known to have a strict protocol which has historically been very rigid. One of the most well-known rules that the family and those around them must abide by is “no touching”. However, much like their mother Diana, both William and Harry seem quite comfortable with breaking this rule. In 2017, Londoners faced a horrifying tragedy when an apartment building called Grenfell Tower caught fire, causing the deaths of at least eighty people. 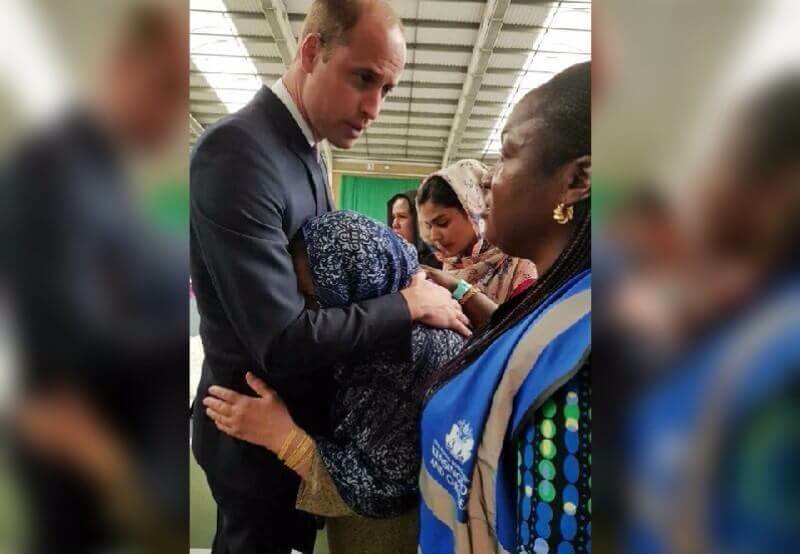 Prince William greeted survivors of the fire, many of whom lost everything in the fiery inferno. One victim was particularly overcome by emotion and clung to Prince William, who welcomed the embrace. Perhaps we are entering a new age with the newest generation of the royal family. While this moment might not be the most famous of the bunch, there is no arguing about its heartwarming nature. 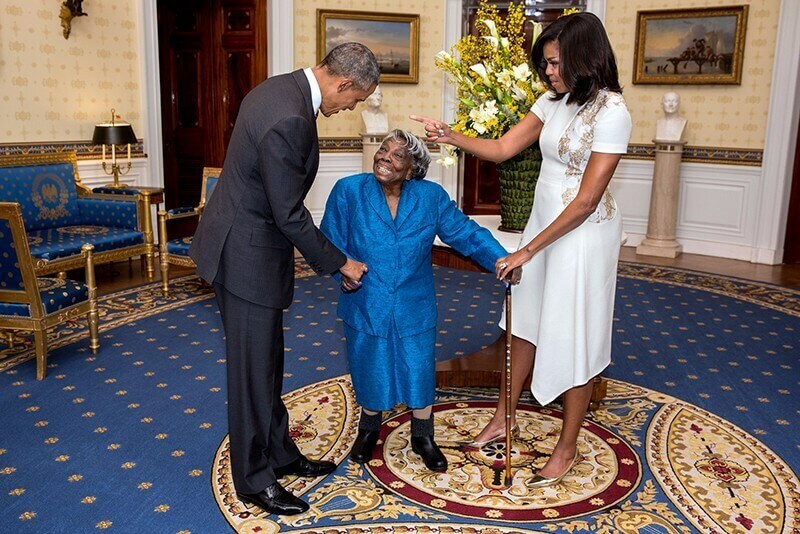 President Obama and wife Michelle welcomed 106-year-old Virginia McLaurin in 2016. Ms. McLaurin was afforded the opportunity after someone alerted the White House of her longstanding volunteer work within her community, particularly aiding the children who needed mentoring. This photo is particularly remarkable because it features a member of the older generation of the royal family, Prince Charles, breaking protocol to hug a young boy. 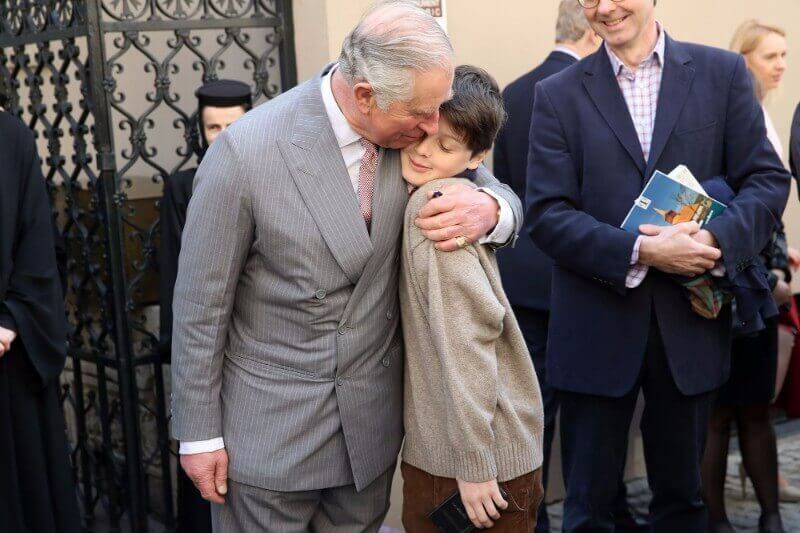 While in Romania, the boy spotted Prince Charles and rushed him for a hug. The Prince was obviously happy to oblige. Apparently, the two knew each other before this and Prince Charles is a friend of the child’s father. Of course, for the British masses seeing such a public form of affection is quite rare. Perhaps, Prince Harry and William’s more approachable demeanor is rubbing off on the old Prince. In 2011, Joplin Missouri was hit with a massive F5 tornado which completely devastated the area and resulted in the deaths of 158 people. Many more were injured. After Obama visited the area and the people affected by the tremendous storm. There were multiple photos of his interactions with the citizens of Joplin, but one, in particular, is very striking. 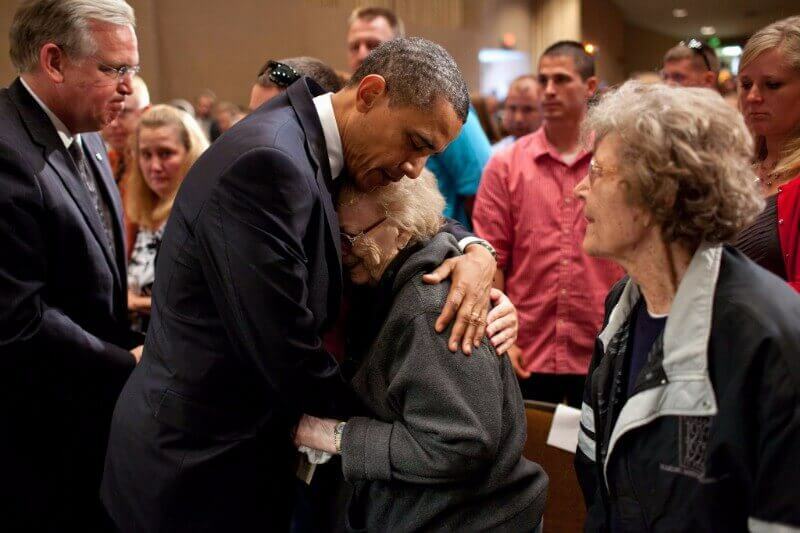 The photo of Obama embracing the elderly woman was quite moving. There is something in the body language between the two that makes the moment so incredibly earnest and human. The photo speaks to the compassion Obama had for the victims of such a horrible circumstance. Chalk up another one for Diana’s sons. 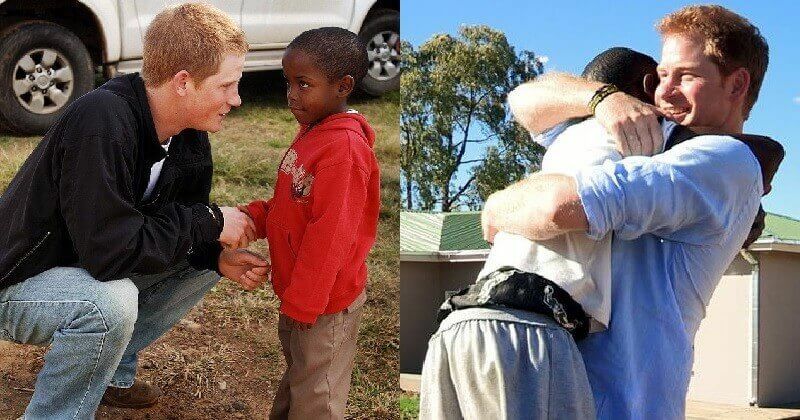 This photo set shows Prince Harry with a young orphan boy named Mutsu. Harry and Mutsu first met back in 2004 and were reunited in 2016. Mutsu is now a teenager at 16 years old, and Harry a grown man at 32. When they first met, Harry was taking a gap year before beginning his studies. Although much time and circumstance have passed, clearly there is no love lost between the old friends. These moving photos are yet another example of the willingness of the new generation of royals to be more accessible to people around the world. The Royal family of Japan has a similar set of rules when it comes to cavorting with “regular” people. But just recently Princess Mako of Japan (the granddaughter of the Emperor) said she would give up her royal status in order to marry a commoner. 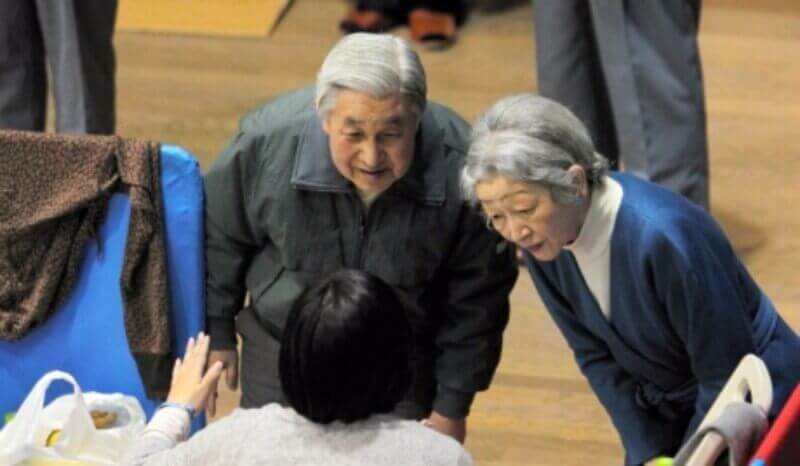 Needless to say, the elder royals put on a relatively unheard of display of compassion after the horrifying earthquake and tsunami that devastated Japan in 2011. In 2012, a mentally ill man stormed into an elementary school and began shooting. He killed twenty-seven people, including his own mother and an entire classroom of first graders. The tragedy horrified the country and spurned activists as well as grieving parents to fight for harsher gun laws. 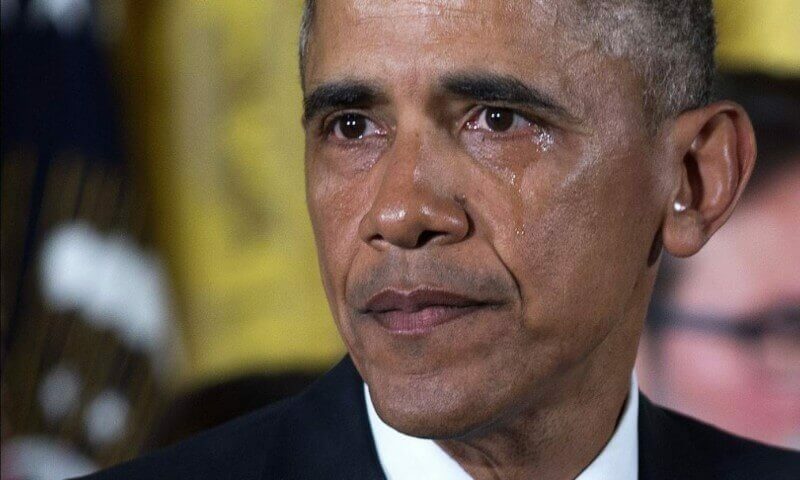 Sadly, it seems as though the tragedy was not enough and gun restrictions have not increased, even for the mentally ill.
President Obama was no different than the rest of the nation and was left shocked, dismayed, angered, and ultimately grief-stricken. He famously gave a speech on gun control where he could not help but get a bit choked up. And if you look at the faces of the young victims of Sandyhook it’s easy to understand why. Mexico recently had to deal with a double hit of natural disasters – both Hurricane Katia and one the largest earthquake to be felt in years. Not to mention, the country has currently been dealing with a very strained relationship with their neighbor to the north – the United States. Despite the rocky relationship, Mexico still offered to send in aid to Hurricane Harvey victims, which is what they did during the aftermath of Katrina years previous. 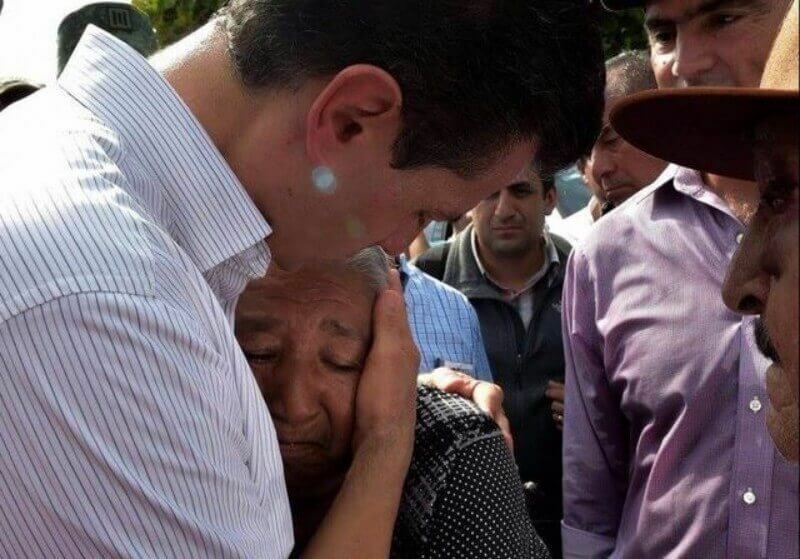 Mexican President Enrique Peña Nieto was seen comforting victims of the tragedy. The President’s mere presence in the state of Oaxaca certainly seemed to reassure people, and his photographed embrace seems nothing less than genuine. In 2005, the United States was still reeling in many ways from the aftermath of the terrorist attacks on 9/11. However, the nation was soon faced with another tragedy – Hurricane Katrina. The hurricane hit much of the southern and southeastern United States, with Louisiana particularly affected. Almost 2,000 people died during and in the aftermath of the storm. President George W. Bush and others within the government were widely criticized after the storm because many believed that the delayed handling resulted in the deaths of many more people. However, it is easy to see with this photo that President Bush certainly is down-to-earth and compassionate with his fellow citizens. 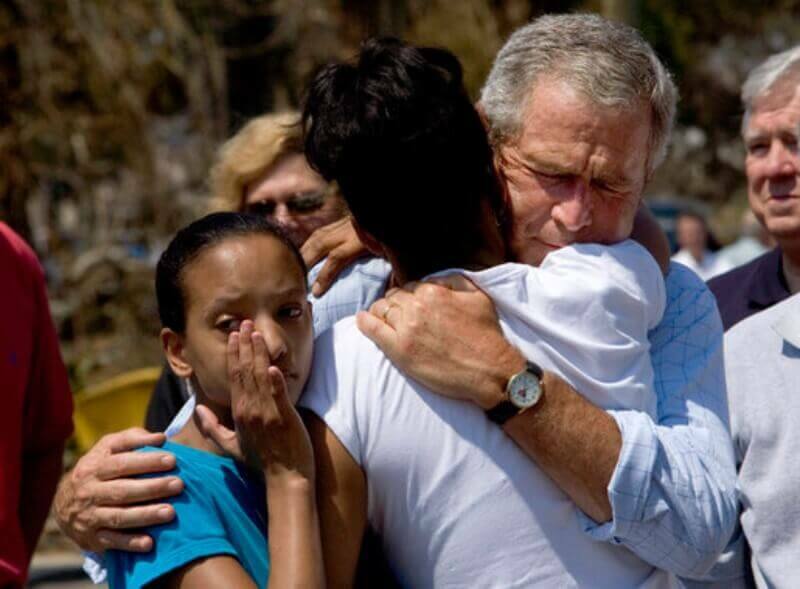 The sitting President, George W. Bush, was not the only President to show up in order to comfort the victims of Hurricane Katrina. His father, former President George H.W. Bush, also showed up to lend his compassion. 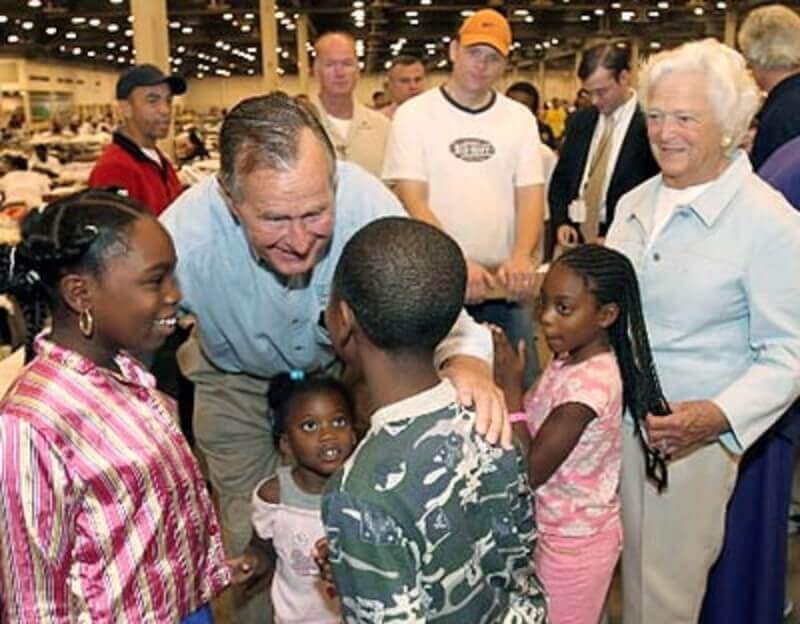 The elder Bush was seen seated surrounded by victims of the hurricane listening to their stories. This show of compassion was welcomed by the American people, as many were horrified with news images coming out of the affected area. Only four years after the terrorist attacks in New York City, the nation faced another tragedy resulting in the deaths of thousands of people. In 1964, the nation was notified the President of the United States – John F. Kennedy Sr. – was assassinated. 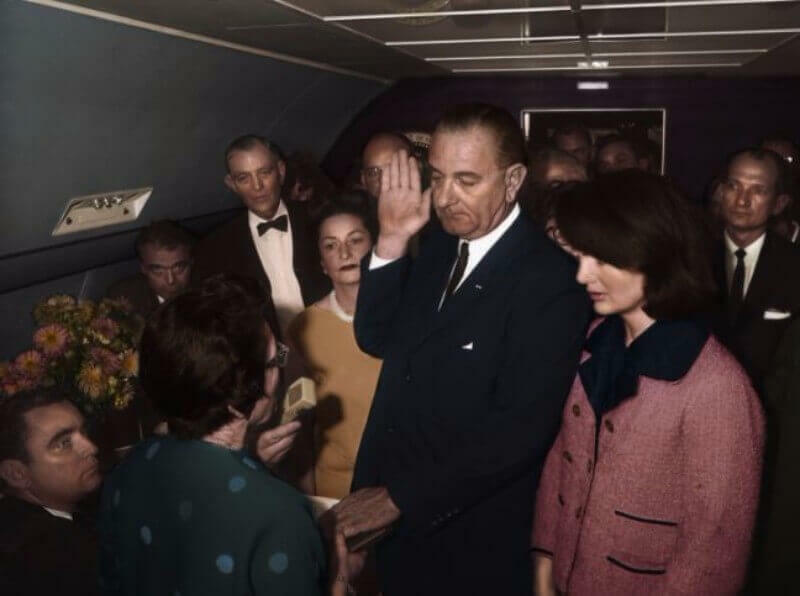 Only hours after his horrifying murder, his Vice President, Lyndon B. Johnson, was sworn in as the next President of the United States. Next to him stood President Kennedy’s widow, Jackie. She was still wearing her pink outfit which was stained with her husband’s blood. This photograph is unbelievably striking, particularly considering that Jackie had to uphold duty instead of crumpling into an emotional mess as most people would understandably do in the situation. However, Jackie remained composed throughout the most tragic event of her life. What would a list of heart-warming presidential moments be without a photo of Obama with a child? President Obama was known for his knack for dealing with the little ones and there are countless photos of him literally crawling around the Oval Office while playing with kids. 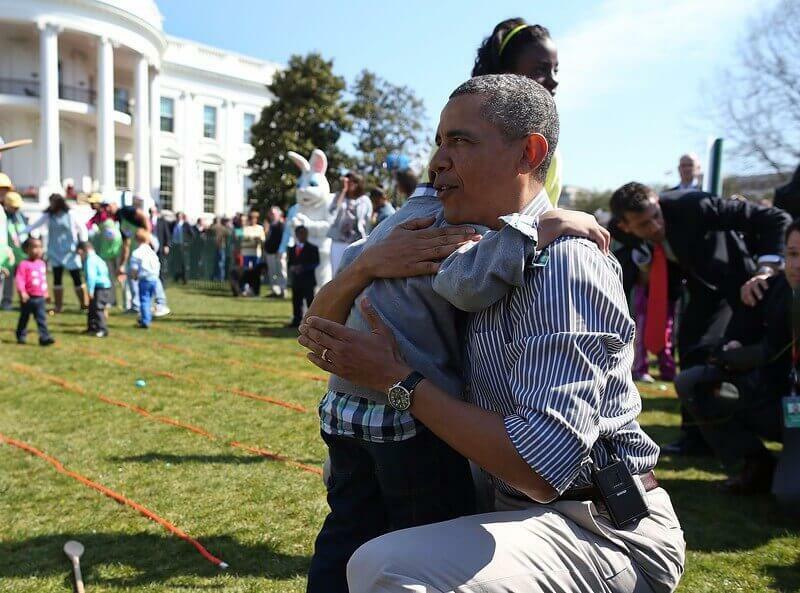 This shot is particularly heart-warming because a little boy was saddened after the annual Easter Egg Roll didn’t go his way and he lost the race. Instead of ignoring the little boy’s sadness, Obama took the child in his arms and patted his back, comforting him in a true fatherly fashion. Beautiful! 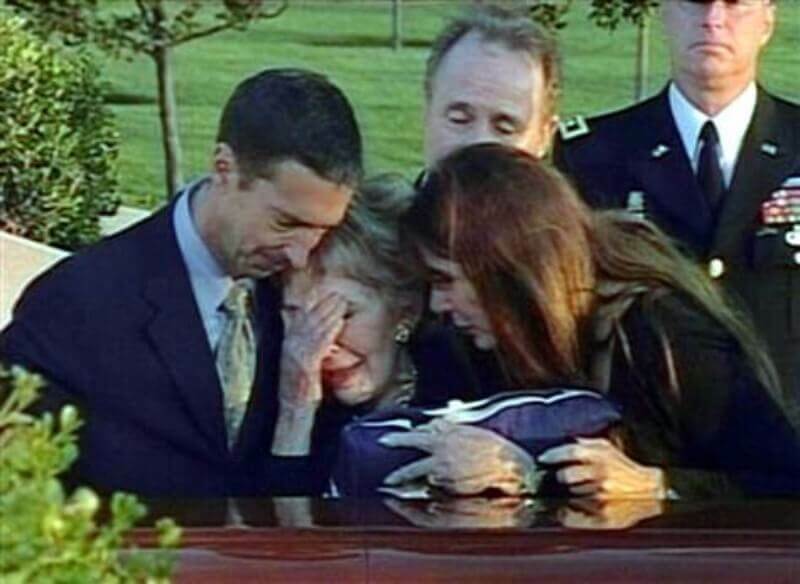 Although Ronald Reagan died at the ripe old age of 93, that did not stop his wife of 52 years from becoming overcome with emotion. Reagan suffered from Alzheimer’s disease, which can be a very sad way to go. In this photo, we see Nancy being embraced by her son and daughter. Reagan passed almost twenty years after he was in office as the President of the United States, but many in the nation still mourned the death of the man who first rose to prominence as an actor before switching to politics. Perhaps the greatest in his life of all his lengthy accomplishment was his unrivaled love story with Nancy. This image might be the most heartbreaking of the entire list. In the days following 9/11, the entire nation was rattled. The United States had not faced an attack of such magnitude since Pearl Harbor. The firefighters of New York City emerged as the true heroes of the attacks, with many sacrificing their own lives while attempting to save others. 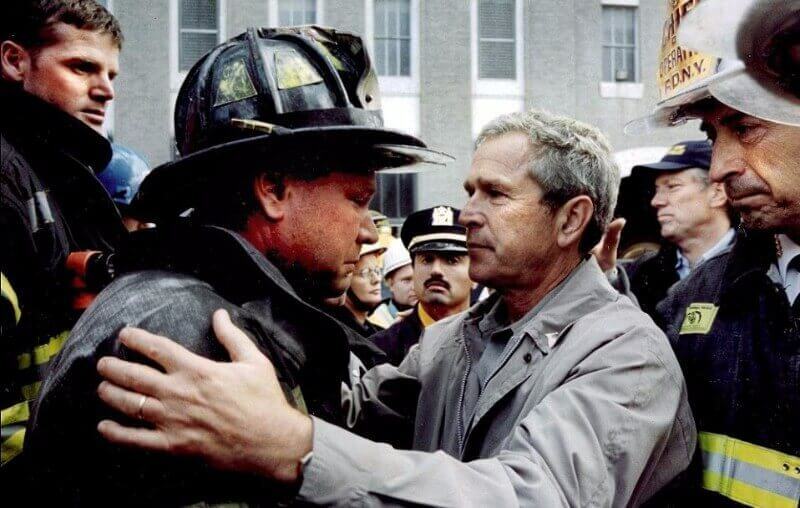 In this photo, we see President Bush with New York City Fire Department Lieutenant Lenard Phelan of Battalion 46. It is clear that both men are holding back tears in the photo, particularly because the Lieutenant and his co-workers were still in search of those they lost in the towers that day. Arguably one of the most heart-wrenching American photographs ever captured. If there is anything to be said about President George W. Bush, it’s that he certainly has a genial and down-to-earth attitude. Sadly, during his tenure as President the United States went to war. This meant more pressure and danger for military members stationed around the world. President Bush certainly made no bones about his support for them. 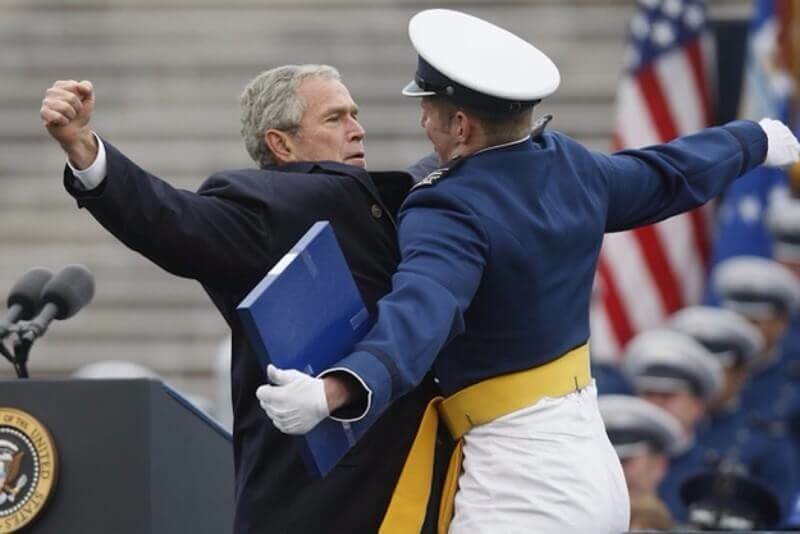 This is perhaps one of the more uplifting images we have of Bush with the military. It certainly seems that if you spent any time around him, in a personal setting, he would end up goofing around just like “one of the boys”. In 1985, a young Girl Scout named Elizabeth Brinton sold more cookies than anyone was ever able to previously do. Her lofty venture afforded her the opportunity to meet President Reagan in 1985. Some have lauded her efforts as being the best Girl Scout cookie saleswoman of all time. Clearly even President Reagan was impressed. Although President Reagan was not known to be the most affectionate of Presidents, he was certainly enamored enough with the impressive young lady to gather her in for a loving hug. She was even able to sell the President himself some cookies. Reagan bought one box of all seven available flavors. When President Obama took office in 2009, he inherited a war in Afghanistan. Sadly, with war comes casualty. The President learned this not long after he took office. 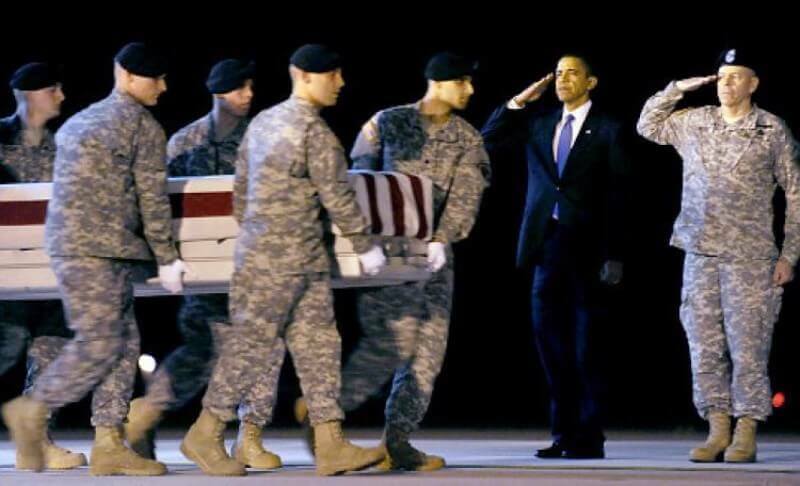 Obama was photographed that year making an impromptu trip to Dover Air Force Base in order to pay his respect to the remains of 18 soldiers who were killed while fighting in Afghanistan. The President donned a serious expression and saluted the coffins draped with the flag as they were escorted by their fellow soldiers. Throughout the eight years of his presidency, Obama worked to decrease the number of troops fighting overseas. Although he was unable to withdraw from war completely, this was certainly one of the issues that weighed heaviest on his shoulders.